This past weekend was the second year of the Montclair Literary Festival. 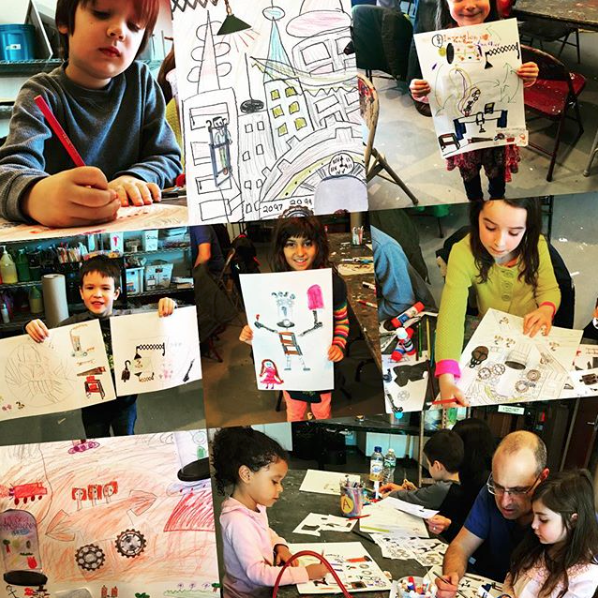 I had a workshop at the Montclair Art Museum based on my third book "Mr. Biddles" and the collage-style illustration used for it. I had all the kids create their own inventions, like Mr. B and it was so cute to see the what they came up with! So clever and cute. Love to see their drawings. One child named LEo had a tree going up to space! Another child used the accordion lamp as a sun over the city.